The Hardin County Board of Elections was unable to hold a meeting scheduled for Thursday due to illness resulting in the lack of a quorum. 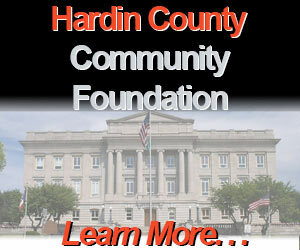 The next regularly scheduled meeting will be at 9 a.m. Thursday, May 9 in the board office at the Hardin County Courthouse. FRIDAY, APRIL 12 Village of Ada - 5:30 p.m., special meeting with closed session for terms of employment. Action is expected. The Hardin County Genealogy Society will be closed Thursday, April 11 to allow volunteers to attend the funeral of William “Bill” Wentz. COLUMBUS - State Rep. Jon Cross, R-Kenton, has announced his upcoming district office schedule to meet with constituents of Hardin and part of Logan counties in the 83rd Ohio House district. 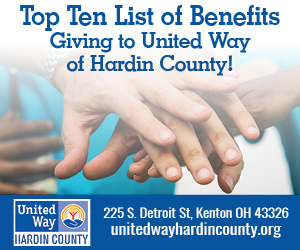 Hardin County district office hours: Friday, April 19 from 1:30 to 4:30 p.m. at the Mary Lou Johnson Hardin County Library, 325 E. Columbus Street, Kenton; and Friday, May 17 from 1:30 to 4:30 p.m. at the Ada Public Library, 320 N. Main Street, Ada. RIDGEWAY — The Ridgeway council meeting slated for Tuesday has been moved to April 16 at 7 p.m. in council chambers. LIMA — Superior Credit Union, based in Lima, was named the No. 20 best-performing credit union in the U.S., according to S&P Global Market Intelligence, which recently released its ranking of 2018’s 50 best-performing credit unions.